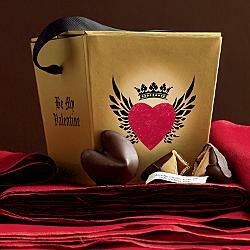 These fortune cookies are cloaked in chocolate and scripted just for romance. Fortunes include, “You are difficult for others to resist,” “Naughtiness is a virtue” and “Distance and time may test your heart, but true love will always find you.” Fortunes cookies are individually wrapped and arrive in a sturdy reusable take-out container labeled "Be My Valentine," with a grosgrain ribbon handle. Make her happy this Valentine's Day (yeah, I know...I'm starting way too early - but they need 10 business days to process this one) with a personalized bottle of perfume. Upload a favorite photo of the two of you to www.clinique.com and they'll put it on a bottle of their fragrance, Happy. 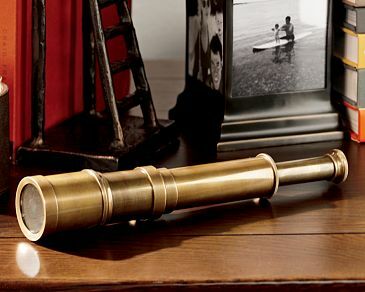 In years past, every home along the shore had a telescope for gazing out to sea. This scaled-down working replica has 8x magnification and movable parts. Well, at least you can plant a colorful garden of wishes! Each kit comes with a collection of eight different seed varieties - each flower represents a special wish. Plant outdoors or in containers. 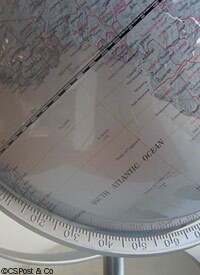 A contemporary take on the traditional globe. Mounted on a silver steel-alloy full meridian and base this silk screen acrylic globe allows you to spin from North Pole to South Pole and all around the world. 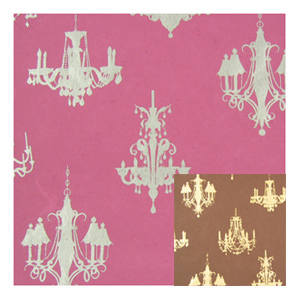 The paper is 100% recycled cotton fiber and there are 10 sheets per package. Dimensions are 21" x 29". 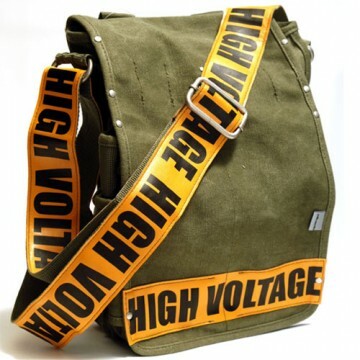 Available in brown and pink. This gift contains a wonderful assortment of gourmet delights to start Valentine's Day right - and a handy way to serve them. 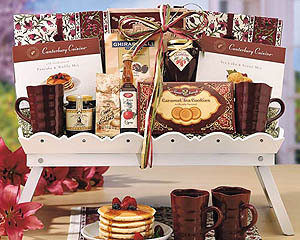 Old-fashioned pancake and waffle mix, gourmet apple maple breakfast syrup, Ghirardelli white mocha hot coffee drink mix, strawberry preserves, coffee, Canterbury cuisine tea and scone mix, honey, Ceylon tea in a wooden tea box and caramel cookies are brimming from this lovely folding serving tray.